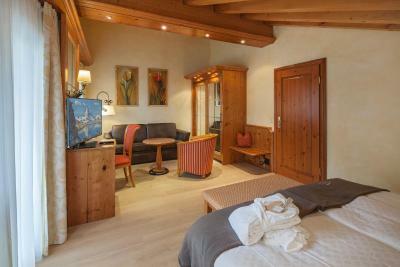 Lock in a great price for Relais & Chateaux Schönegg – rated 9.1 by recent guests! Excellent location and super helpful and friendly, efficient staff. They remembered our names! Nice, clean rooms. Splendid breakfast. Close to Sunnegga ski train. They were all really friendly and did there best to accomodate us. Everything was perfect, the room was very charming and beautiful, gave us a real sense of hospitality, the view was mind blowing, and the location was perfect. The view of the Matterhorn from the restaurant was breathtaking!! The breakfast buffet was incredible!! The hotel even provided wash cloths, which is something not easily found in European hotels. Loved the whole experience!! Zermatt is a beautiful village!! The view of The Matterhorn from the deck is spectacular! Location wars perfect! View of Matterhorn from room, dining area and patio! Amazing! The breakfast was excellent, staff very helpful and efficient. Especially enjoyed the tunnel access. We enjoyed the restaurant and the great view of the Matterhorn. We had an excellent stay in Zermatt. We traveled from Zurich to Geneva and our stay in Zermatt was the best. Love the view from breakfast and dining area, love the location (near ski rental and lift), love the breakfast (best breakfast and best view). 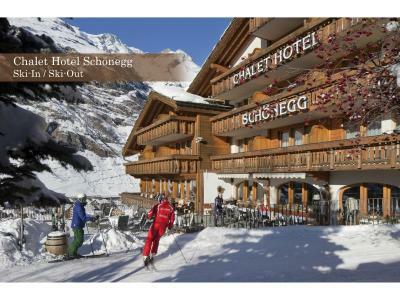 Relais & Chateaux Schönegg This rating is a reflection of how the property compares to the industry standard when it comes to price, facilities and services available. It's based on a self-evaluation by the property. Use this rating to help choose your stay! 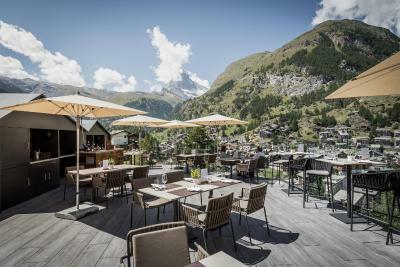 The family-run Relais & Chateaux - Schönegg is located on a hill above Zermatt and is connected to the center via a mountain elevator. 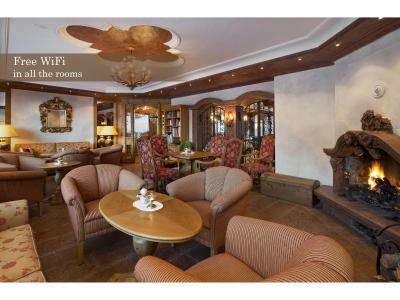 It offers a 24-hour reception, free WiFi and a panoramic view of the Matterhorn. 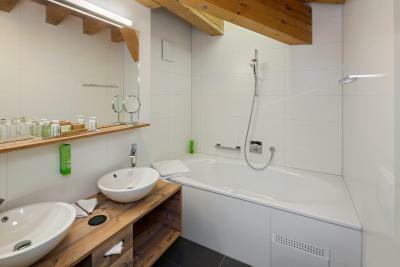 The units at the Schönegg all come with a private bathroom with a shower, cable TV and a mini-bar. Nearly all also feature a balcony. In addition, the suites provide a large seating area. 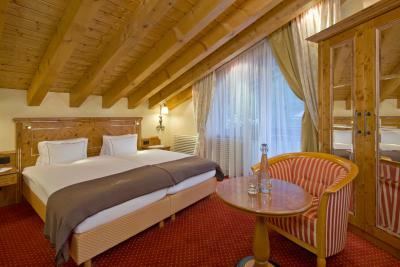 Guests at the Chalet Hotel can enjoy a daily breakfast buffet, including local products and home-made jams and breads. 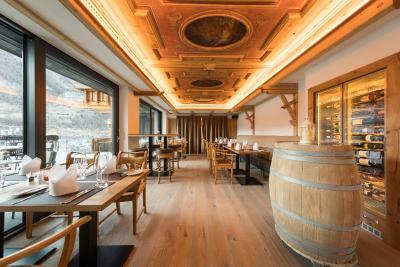 The on-site restaurant serves fine gastronomic cuisine and provides a unique view of the mountains from its sun terrace. A fresh 5-course menu is offered. 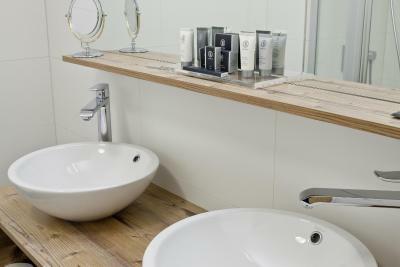 A spa area consisting of a sauna, a steam bathtub and 2 whirlpools can be found on site. A relaxation area is also available and massages are available on request. The Sunegga Ski Area is located within 250 feet from the tunnel exit and the Gornergrat Railway is 650 feet away. 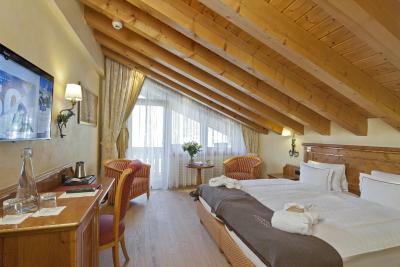 When would you like to stay at Relais & Chateaux Schönegg? Spacious 538 ft² suite has a Queen size bed and is spread over two floors. First floor has a living room and fireplace. The bedroom is on the second floor, with a bathroom including a spa tub. This quadruple room features a mini-bar, cable TV and a bathrobe. 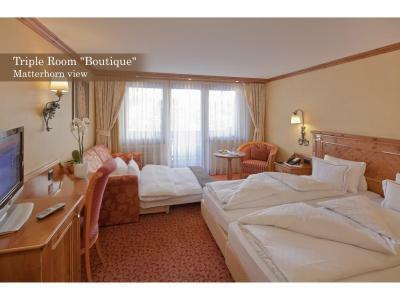 This double room has a balcony, bathrobe and flat-screen TV. 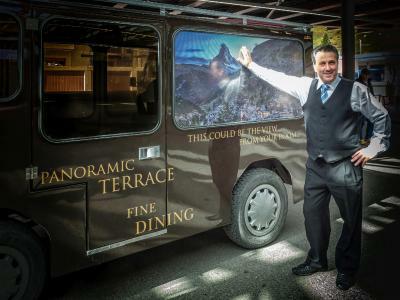 House Rules Relais & Chateaux Schönegg takes special requests – add in the next step! 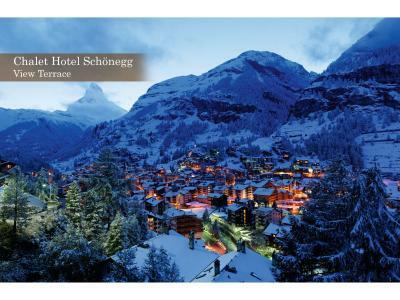 Relais &amp; Chateaux Schönegg accepts these cards and reserves the right to temporarily hold an amount prior to arrival. 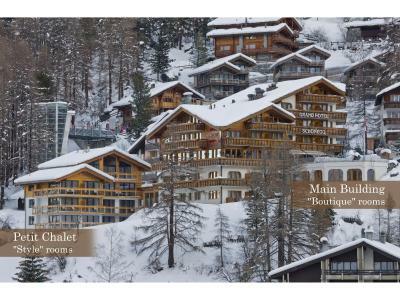 Relais & Chateaux Schönegg accepts these cards and reserves the right to temporarily hold an amount prior to arrival. 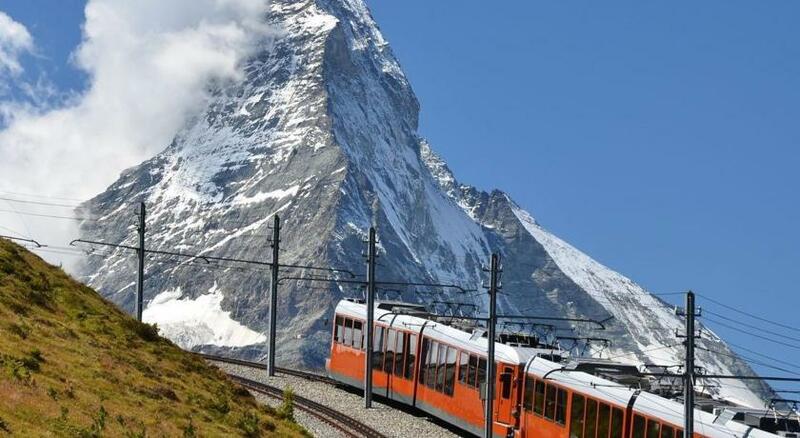 Please note that Zermatt is a car-free resort. 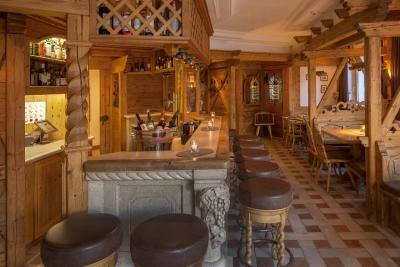 Guests can drive as far as Täsch and take the train to Zermatt. Please note that the hotel offers free transfers from/to the train station or the taxi stand from 08:00 to 19:00. Guests are kindly requested to inform the hotel in advance if they wish to make use of this service. Contact details can be found on the booking confirmation. Please note that the restaurant Uncorked is open from Christmas until Easter. Opening hours are daily except Wednesdays. Please note that the entrance to the hotel can be accessed through a tunnel with an elevator at Wiestistrasse. Our dinner was our only average experience at the hotel. The service was extremely slow (30+ minutes for appetizers), the waiters did not seem informed of the menu offerings (specifically the wine menu), and the food we ordered was only so-so compared to the other restaurants in the area. 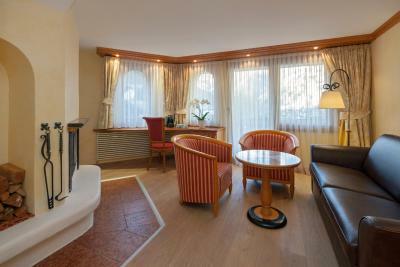 A hotel with a professional and welcoming atmosphere. 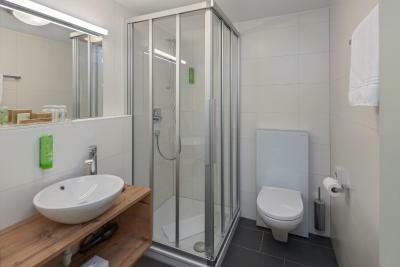 A lovely property that is boosted further by great staff. Great location just up from the fast sunnega funicular train (lift system) to top of mountain within 5 mins walk from hotel. Staff were pleasant and helpful but unorganised and not well led and lacked systems. Missed pickup from station. Phone always engaged. Room had a great view but housekeeping was poor. Soap machines were faulty, towels not changed. Telephone didn't work properly. TV too quiet. No magazines or hotel information in room normally expected in a Relais hotel. The view! Best Matterhorn view ever. They must have lost their cook...The restaurant(s) have not been very convincing. Not staying longer, we really loved it! 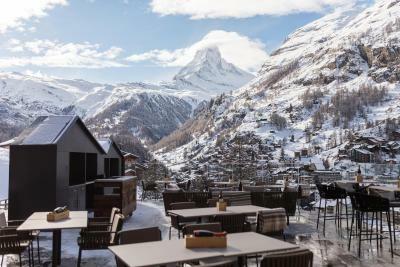 Great Location and the view - set up above Zermatt, lovely clean well furnished room (Matterhorn view), superb level of service from staff, great hotel and restaurant with good food, the entrance tunnel. Entire stay fantastic experience. Amazing hotel. Staff make you feel like you are staying with friends and family, super relaxed, genuine sense that they want to look after you. Great food and outstanding view of the matterhorn. Best compliment i can pay is to say we will be back! !